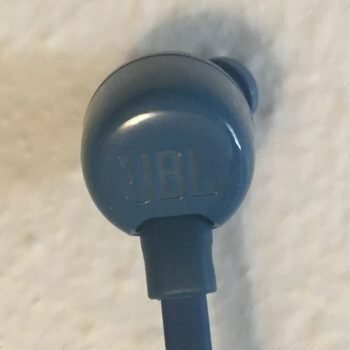 JBL is one of the largest and most recognizable audio companies in the world, and in addition to their plethora of speakers they now also produce a wide variety of headphones. 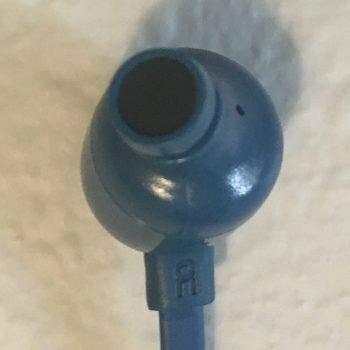 The inexpensive Tune T110 earbuds are one of their entry level products and are currently very popular. Packaging was pretty basic and minimal. The box was flimsy and the headphones were secured in a contoured piece of packing plastic. The accessories were below, beneath an additional slip of thin cardboard. I understand that cheaper headphones will necessarily need to cut corners with packaging, but I do at least like the outer box, or carrying case if one’s included, to be hard and non-flimsy just in case something really unlucky happens with shipping. The earbud is very basic, but is light and fits nicely. The included tips also feel nicer than average. The in-line mic is basic with a single on/off call button, but is still a nice inclusion for how cheap the T110 is. The 3.5mm jack is nice and sturdy but the support is very thin, as are the wire joints on the earbuds. 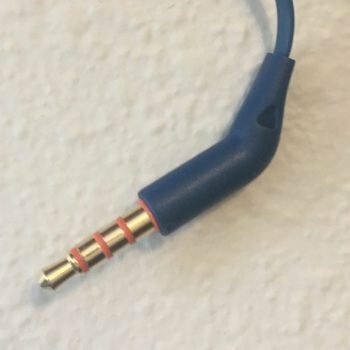 I kind of like a thin jack support on cheaper headphones though because they’re easier to fit into more phone cases that sometimes have narrow holes for headphones. The wire is flat and pretty flimsy, and I have read reports that its more prone to breakage so you might have to be a little more careful with these headphones. The finish is smooth and didn’t seem to cause too much microphonics. All in all, these are very light and basic earbuds, and about what you can reasonably expect for something available for around $10. They do fit comparatively nicely though. 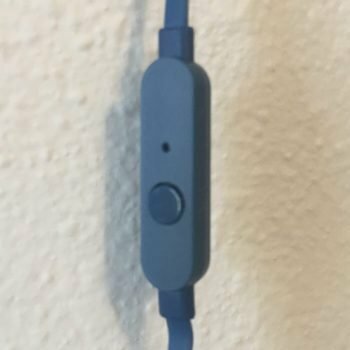 I was immediately impressed with these earbuds – they sound really good, more expensive then they actually are. I tried hard to nitpick any flaws that are common with cheaper headphones or otherwise, but couldn’t really even after a few songs into my listening test. They sounded nice and even, with solid detail and clarity, but managed to avoid harsh mids/highs and still had that kind of round/full feeling that I particularly like with headphones. The T110s are advertised as “pure” bass on the box but the sound signature definitely seemed flat/neutral with perhaps a slight bass emphasis and small downward slope towards the highs, but nothing above the bass seemed recessed. The quoted response range of the T110 is 20 – 20k Hz, which is comparatively average, but the bass sounded quite good and full and belied the mediocre response floor on paper. Drops came in nicely and didn’t lose pitch or volume. The bass was slightly muddy and bled up and distracted on a few songs, but that’s really the only shortfall I noticed while listening to these. One potential issue with the T110 is that I had to turn the volume up on my device considerably more than I normally do to get it to adequate listening volume. The sensitivity rating is 96, which is pretty low even for cheap earbuds. The impedance is a mere 16 ohms so any device should power these no problem, but some might wish they could get louder. The isolation was very minimal – enough to maybe block out a little ambient noise but I don’t think these would suffice well for really noisy commuter use. JBL/Harman offers a one year warranty on the T110, which is comparatively average coverage for cheaper headphones. The T110 is a very light and basic but comfortable earbud that has impressively good sound for the minimal price. I suspect the original MSRP used to be more expensive, and pricing seems to be a bit fickle, but if you can manage to snag these at around $10 they very well may be the best sounding earbuds available at that price point.